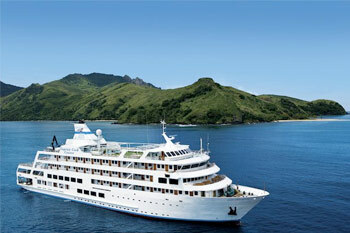 There’s a reason so many newly-weds and about-to-be-weds flock to Fiji to celebrate their love. With glistening white beaches, lush rainforests and countless hideaway spots, this is one of the most romantic places on earth. 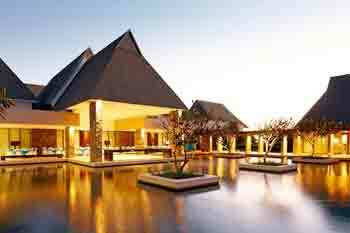 If you want help with planning, many resorts offer great wedding or honeymoon packages to take the pressure off. 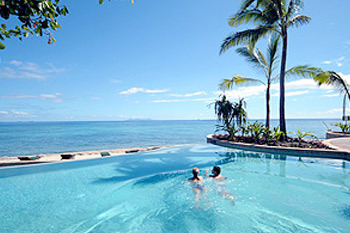 Whether you’re looking for a wedding venue or somewhere to honeymoon, Fiji is the ideal place to start your lives together. Crystal clear water, beautiful white sandy beach and abundance of fresh frangipanis offers the perfect place to get married. It’s your special day so let Volivoli help tailor the perfect wedding day. 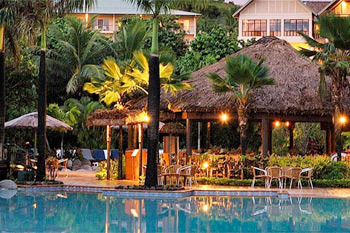 Just a short 15-minute drive from Nadi airport First Landing is a small resort nestled in magnificent tropical gardens. Blessed with the only sandy beach in Nadi First Landing is a great option for couples that don’t want to travel to nearby Fijian islands. First Landing staff pride themselves on personal attention so your wedding day will be a tailor-made, memorable occasion. With plenty of accommodation to suit all budgets First Landing and Nalamu Villas is a perfect choice for your destination wedding. Treasure Island is one of the most romantic destinations in the South Pacific and our experienced staff are experts at creating moving and memorable marriage ceremonies. For those after a more formal touch, the masterfully designed glass and marble (non-denominational) Sigavou Chapel on the east beach offers panoramic ocean views. A Treasure Island wedding is a special day unlike any other. 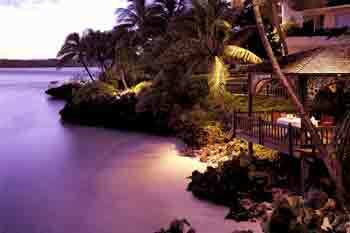 A tropical island getaway is the epitome of romance so why not combine them to create perfection? Your Fiji wedding ceremony can range from Barefoot on the beach in a simple sunset wedding to the grandeur of Fijian warriors, drums, canoes or a ceremony in our stunning chapel. 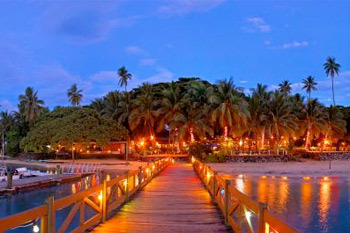 Lomani is the Fijian word for “Love” and you will be sure to fall in love with this idyllic Fijian island paradise. Lomani is an adults only boutique resort located in the Mamanuca group of islands and is the perfect location for an intimate personalised wedding or honeymoon. Ceremony choices include a choice of beach setting, the private offshore Sand Cay surrounded by the Pacific Ocean or Lomani’s secluded Picnic Point Bure. 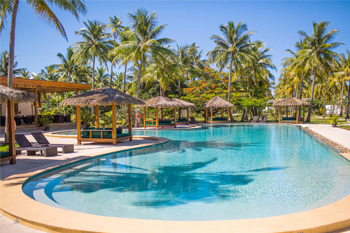 Plantation Island Resort knows better than anyone, handling over 100 weddings a year, that our exclusive and easy-on-the-wallet Fiji wedding packages are terrific value. We offer many gorgeous locations and all arrangements are made to suit any budget. So let’s start the conversation and discuss our beautiful Fiji wedding packages we have available for your big day. 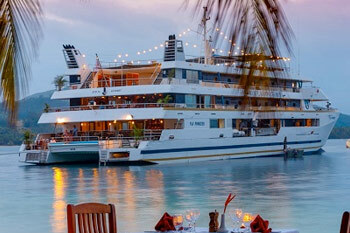 Wedding Travel work closely with Miri directly at Plantation Island so you can rest assured you needs are catered for between us. At Outrigger Fiji Beach Resort our vuvale (family) can’t wait to make your wedding day an unforgettable celebration of love. Our popular beach, garden and chapel locations provide the perfect setting for your special day. From small intimate weddings to grand family celebrations themed to your liking, our experienced team of wedding coordinators weave their magic to create the happiest day of your life. Situated on one of the “world’s best beaches”, the white sands of Natadola offset the sparkling waters of the South Pacific and create a memorable backdrop sure to impress the most discerning of wedding guests. Named after our white sand beach location; the perfect setting makes the perfect wedding, celebrate your reception for 50 guests with the Elements of Natadola Bay. 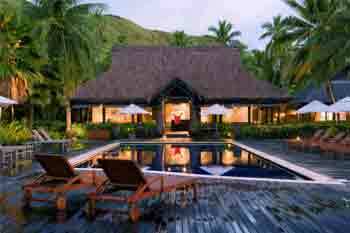 A traditional Fijian village is the inspiration behind this beautiful resort only 45 minutes from Nadi’s International airport. The resort offers an abundance of resort facilities and your wedding will be a romantic event complemented by the friendly and attentive events team. 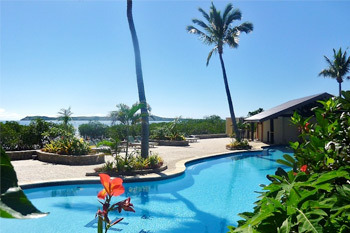 The resort has a beautiful chapel seating 40 guests with sweeping views of the reef and Pacific Ocean. To celebrate a special occasion on Vomo is to be embraced by one of the most beautiful places on earth. Vomo is the perfect location to share your intimate wedding with your guests or pamper yourselves with a romantic honeymoon. Motivate and reward colleagues with the ultimate corporate retreat or for an unforgettable indulgence, hire the entire island for your own private use. 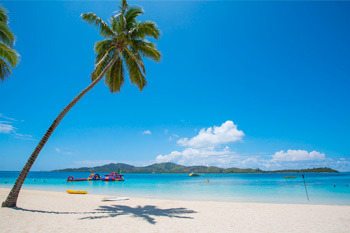 To marry in Fiji you will need to complete an application for a marriage licence. This must be filed with the nearest Registrar General at least 2 weeks before the wedding along with copies of relevant documentation. Your Wedding Planner will normally assist with this.